These are what we have booked in to review so far for May. If you would like a pre promotion article and a review for your event/gig please book in. We accept a lot of invites on Facebook as this is what updates our Live google calendar but it doesn’t always mean we will attend or review unless specifically asked to or if we are attending out of personal interest. Get ready to party as the nation’s favourite rock ‘n’ roll variety show, That’ll Be The Day, returns with its brand new 2015 show! 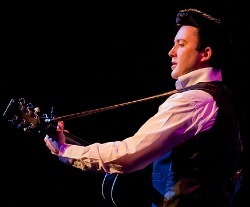 Prepare for a musical adventure unrivalled by any other that truly celebrates the career of a music legend, Johnny Cash. 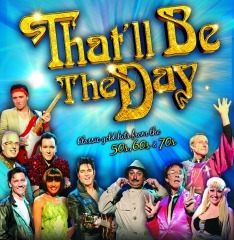 This show will take place at The Plowright Theatre. Tickets are priced £12 for adults and £10 for concessions with a family of four £40 (booking fee may apply)…however, we have a very special Early Bird price for those who book quickly! Call 0844 8542776 for all the details. Pop Factor tributes the very best of now…a show that’s a celebration of the top artists and biggest chart hits! Calling all Directioners! Mixers & Katy Cats! Are you a Belieber? A Swiftie, or one of our favourite Little Monsters! They even pay tribute to the hits from Frozen! We will also aim to fit in some more food reviews so keep suggestions and requests coming in.